LabSoft LIMS - Directions to Computing Solutions, Inc. 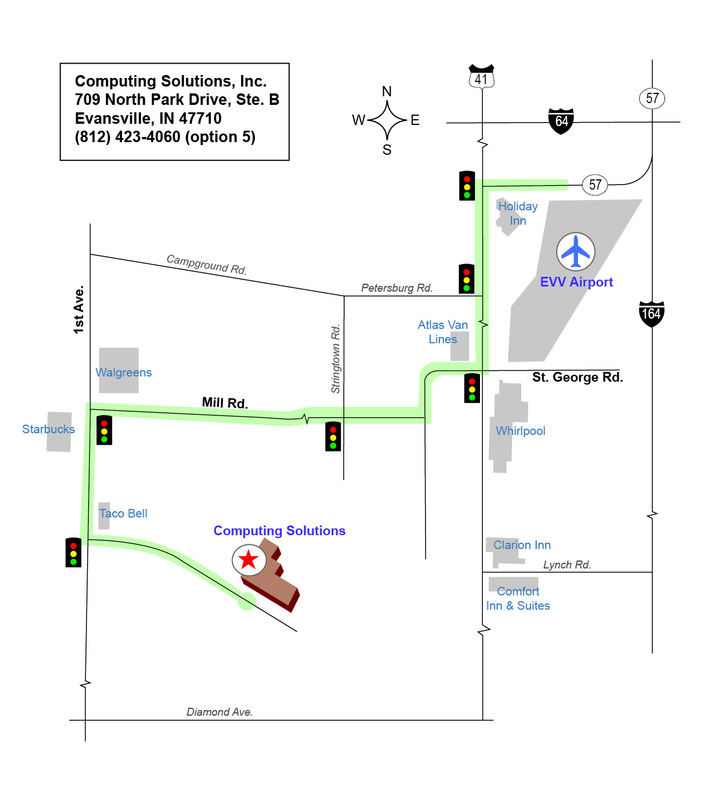 Directions to Computing Solutions Inc.
West (right) on Mill Road for 1.4 miles to 1st Avenue. South (left) on 1st Avenue for one block to North Park Drive (look for Taco Bell). East (left) on North Park Drive. 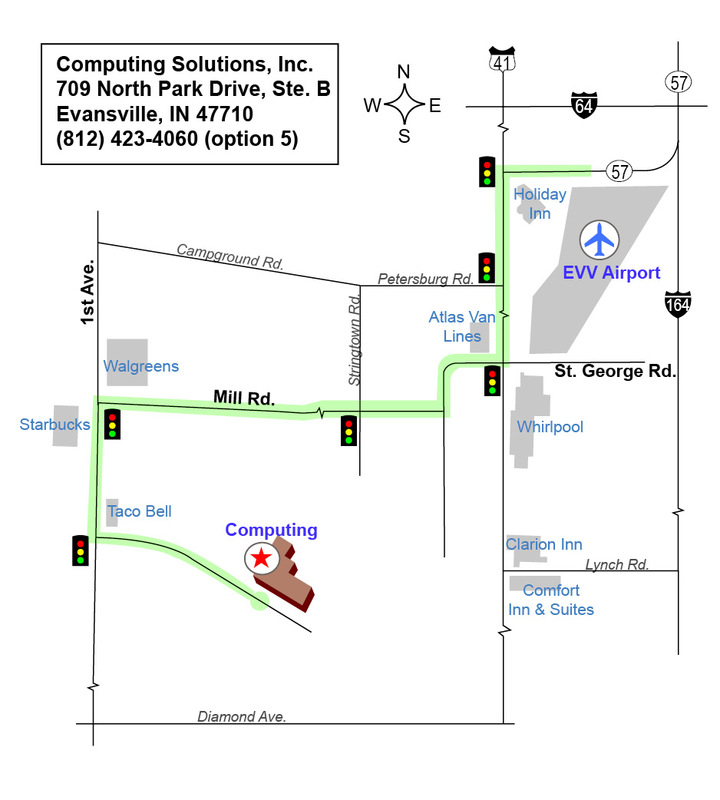 Look for the blue Computing Solutions, Inc. sign on your left (about one block East of Taco Bell). East (right) on North Park Drive. Look for the blue Computing Solutions, Inc. sign on your left (about one block East of Taco Bell). * The red arrows on the map illustrate the route from the Evansville Airport (EVV). * Map is not drawn to scale. Click on map for further directions and interactive map.